Job satisfaction is undoubtedly one of the most crucial parts of a work environment. If your employees aren’t satisfied in their responsibilities and expectations, they won’t be motivated to do their best – or stick with the job. However, boosting job satisfaction isn’t impossible – and it doesn’t always have to mean giving out raises. Try these 10 surefire methods for increasing your employees’ job satisfaction that will keep everyone happy. Nothing turns an employee off to a job faster than feeling like they’re simply one tiny piece in a big machine. If employees have questions, concerns or ideas, make sure there’s an outlet for them to be heard and recognized. Good employees learn and grow in the responsibilities they’re given, until they’re ready to take on new ones. Just because an employee is talented in one area, don’t simply leave them doing the same thing every day forever. Being challenged is far less likely to drive an employee away than feeling bored. So give them something new to try! While it’s often difficult for the CEO of a large company to always be involved with every single employee’s daily activities, that’s why good managers are key – and they’re the ones who are more in contact with upper management. Direct supervisors should be sure to listen carefully to employee questions and concerns – when employees feel like they can trust and talk to their supervisors openly, they’re far more likely to feel satisfied with their work. Not all employees are stellar – but when they do reach a goal or accomplish something great, don’t let it go unnoticed, even if it’s something in line with their expectations. Management doesn’t always know what goes into every project, but taking time to call out employees on a job well done is an excellent way to show them they’re valued. You hire employees for various reasons, because each employee has various strengths. By using employees to their full potential and skills, there’s a better chance for that employee to succeed and feel like they’re really accomplishing something. The financials and overall trajectory of the company might be discussed more often at the higher management level, but that doesn’t mean it doesn’t concern every employee. Holding bi-annual or quarterly meetings to discuss the company’s situation with every employee is a great way to keep everyone up to date on the overall state of things – as well as an opportunity to call out different teams on acheevements. This one is obviously very important – and it goes far beyond communication between employees on the same team. Open communication between teams is critical to avoiding mistakes, accidents and overlapping work, all of which lead to disgruntled employees. Communication between managers and employees avoids confusion, resentment and poor performance. While establishing goals for employees and teams is pretty common, it’s important to keep those goals in mind after they’re established. If your employees have goals set at the beginning of each quarter, make sure they’re accessible throughout that time period, and not just at the end when their performance is assessed. If employees can remind themselves of what they’re working for, they’ll have more of a sense of accomplishment as they go. So many employees work for the weekend – but that’s often the result of a workplace that doesn’t really encourage anything BUT work. Make sure that your office is open and friendly – and give employees a chance to take a break and let loose every once in a while. Try one of these team-building activities for a little fun and bonding. The best way to know how satisfied your employees are with their jobs? Ask! And don’t just ask at the beginning and end of each quarter – pay close attention to general morale and if any employees seem to be particularly struggling. Make it clear that you welcome any and all feedback and concerns. If your employees don’t feel like they can voice their worries or struggles, you won’t know about them. What other methods for increasing job satisfaction do you swear by? Tell us in the comments below! 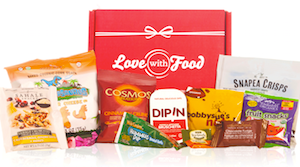 And if there’s one surefire way to get people loving their jobs more, it’s free snacks, right? 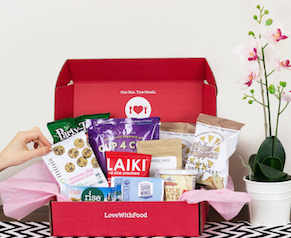 Try a Love With Food office box today!